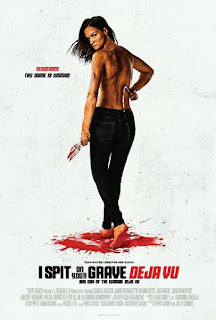 One of the most anticipated sequels of 2019, I Spit on Your Grave Deja Vu (ISOYGDV) returns 40 years later from writer/director Meir Zarchi. ISOYGDV shares continuity and characters with his classic 1978' I Spit On Your Grave. This explosive film stars Camille Keaton, reprising her iconic role as Jennifer Hills and Jamie Bernadette as her daughter Christy Hills. Executive Producers: Meir Zarchi & Deja Vu LLC. Produced by Terry Zarchi and Jan O'Connell.